Are you still making with a pen and paper? 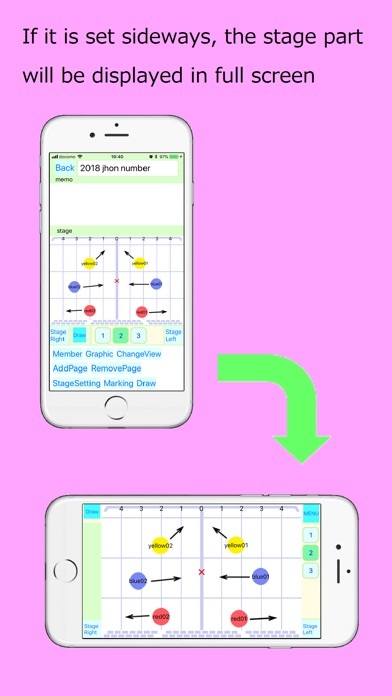 A formation table is necessary for a beginner to appear on the stage. However, it is hard to take the notes that instructor saying with a pen and paper. 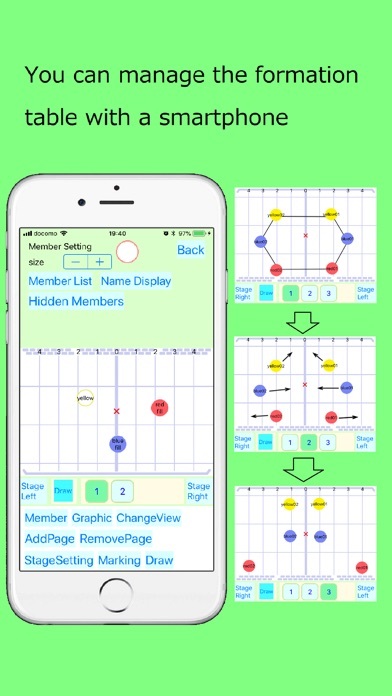 This app is practical for everyone from adults to children to make the formation. If you like this app, please use it!! 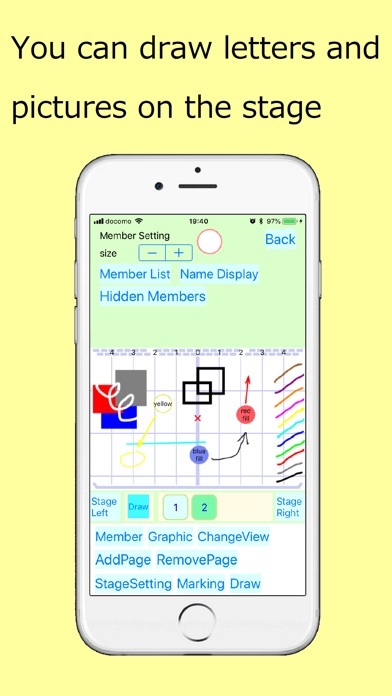 Function You can add and delete members and pages feely. You can hand-draw letters and pictures on the stage. You can choose the angle from the stage and seats. 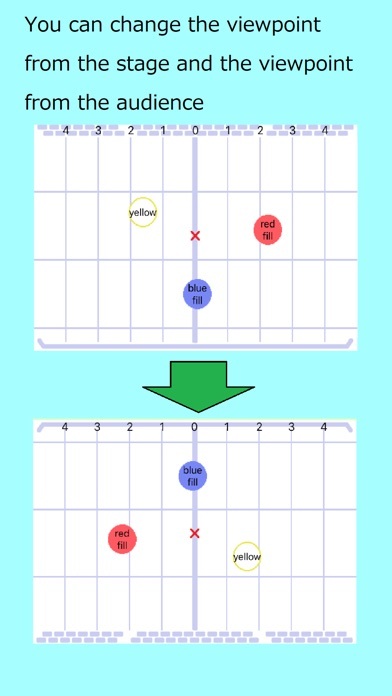 You can magnify the stage portion by pinch-out. You can change the display and non-display of the member name. You can write down the notes on each page. You can adjust stage position tape and stage width. Moving the smartphone horizontally displays full screen. You can copy the data you created. You can send the data you created to other terminals.